Indeed, that’s the question. What to eat to be healthy. We are getting bombarded daily with what we should not eat or what we should eat in order not to get this or that disease. It makes deciding what to eat way too complicated. Not knowing exactly what is good for you, counting calories, fat-protein-carb ratio etc. Eating should be a simple task because it’s the most important and daily task you have. As a result, you must know the food groups that are good for you, and find great recipes and cook. that arises is, of course, which food groups and how much to eat of which. If you are anything like me you want evidence-based research for your foods. Has this been done at all? I mean we are re not exactly being exposed to those research results. I was about to give up but then I found Dr Greger. He is a godsend to vegans, on his website he and his team have published all the research results that have been done about foods related to various diseases. Broccoli studies? yes absolutely, and more than one. Broccoli is Our First Line of Defence (see video below in the sources). It protects against breast cancer, great for your liver, it protects our DNA and even more. Check out the NutritionalFacts.org for more evidence-based research related to food and health. 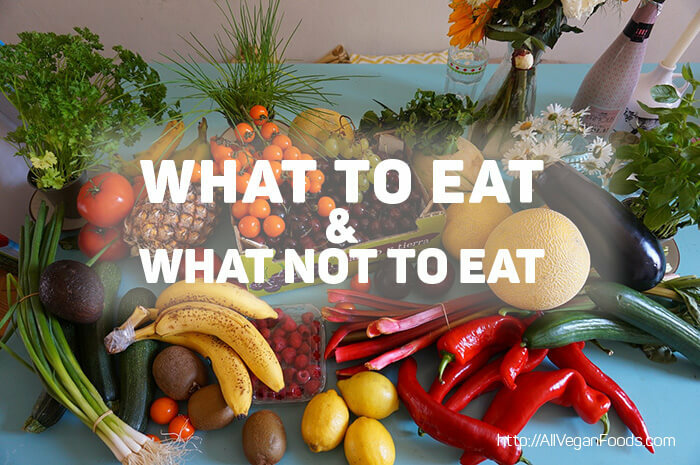 What To Eat and What Not To Eat, That’s The Question! based on the studies is to eat healthily, whole grains and plant-based. To optimize your diet you will eat from every food group every day not at every meal. To learn how much of each group to eat in a day you can download the app “Daily Dozen” at iTunes Apple or Microsoft or Google Play. You can also track your food, the app even sends you a daily reminder. This app was developed thanks to the volunteer efforts of Allan Portera of DigitalBoro.com. Spices, turmeric and other herbs and spices you enjoy. I hope you are less confused by now.